I'm Here. I'm Queer. What the Hell do I read? : Timekeeper - Steampunk YA With A Gay Romance! But when a series of bombings at nearby towers threaten to Stop more cities, Danny must race to prevent Enfield from becoming the next target or he’ll not only lose his father, but the boy he loves, forever." You can read this interview with the author, where she talks about developing the magical systems of Timekeeper's world, and how few fantasy books have gay heroes. 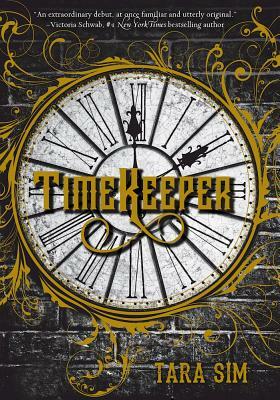 Add your review of "Timekeeper" - the first of a planned triology - in comments!